Project 8 QC 3 Storey Concrete Building Townhouse with 2 Car Garage. Affordable Novaliches Quezon City Town House for Sale. Very Affordable! Flexible! and Negotiable! Contact us for updated Price and Promo!Come and See the Actual Lobby! Amenities! Units! No Showroom! 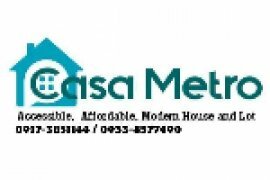 Townhouse for SALE in QUEZON CITY near NEW MANILA T MORATO. FOR SALE 3 TO 4 BEDROOMS Townhouse 68 ROCES IN QUEZON CITY AROUND TIMOG AND TOMAS MORATO NEAR NEW MANILA. Townhouse in Visayas Ave Quezon City near Claret UP SM North. Kathleen Place 4 Novaliches Affordable Townhouse in QC. Modern and Elegant Townhouse for sale in Don Antonio Heights Quezon city. Townhouse for SALE in QUEZON CITY near NEW MANILA SAN JUAN. READY FOR OCCUPANCY FULLY FINISHED Townhouse AT TEACHERS VILLAGE. Townhouse 5br along Cenacle Drive Visayas Ave Quezon City. Modern Townhouses for Sale in Project 6 Quezon City. Garden Homes Townhouse at Circulo Verde for sale. READY FOR OCCUPANCY SPACIOUS FULLY FINISHED 4 BEDROOM HOUSE AND LOT AT COMMONWEALTH WALKING DISTANCE MRT7 STATION. 3 Bedroom Quezon City House & Lot For Sale at Kathleen Place. Very Nice Townhouse in Tandang Sora Quezon City. 4 Bedrooms 2 Car Garage with Own Gate House for Sale. Townhouse for sale in QUEZON CITY 3-4 BR near New Manila. Townhouse for sale in Quezon City near New manila Fishermall. Affordable Townhouse in North Fairview Quezon City. 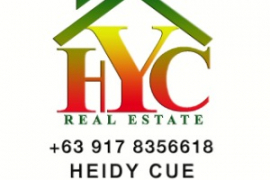 Hello, Please contact me, I am interested in townhouses for Sale in Quezon City. Best Regards. 4,018 townhouses in Quezon City are available for sale. Save this search to receive emails when new townhouses for sale are listed in Quezon City. The average listing price in Quezon City was ₱ 11,767,595 on 1 Apr 2019 and the average size was 193.9 square meters with 4.0 bedrooms. The average price per square meter for townhouses in Quezon City was ₱ 60,689. New homes for sale in Quezon City include Commonwealth by Century Properties by Century Properties, Aurora Escalades by Robinsons Communities and Trees Residences by SM Development Corporation. If you cannot find a property for sale that meets your requirements then try searching our townhouses available for rent in Quezon City. Dot Property also provides helpful guides, blogs and regular news to help property buyers with their search.